Sunseeker Resorts press release – Farr Law Firm attorneys Darol H. M. Carr and David A. Holmes are project counsel to Sunseeker Resorts Charlotte Harbor, representing Allegiant’s development subsidiaries in all aspects of the project. Darol developed his practice of law over 35 years to include a broad scope of sophisticated legal representation and maintained for 30 years an AV Preeminent Peer Review rating with Martindale-Hubbell. When hiring litigation counsel, Darol’s philosophy is that the client deserves an attorney with a scope and depth of experience to serve the client in every aspect of the litigation. Darol’s professional objective was to become a consummate civil trial lawyer with bench and jury trial experience. 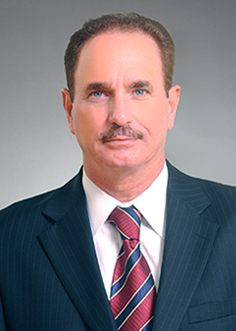 He represents both plaintiff and defense in Florida and federal court. His experience today includes over 50 jury trials to verdict and 50 bench trials to ruling, along with countless complex evidentiary civil hearings. The range of courts include numerous Florida circuit courts, and federal courts in Florida, Pennsylvania and Texas. His court room battles often place him in the thick of high profile multimillion dollar business matters or the financial recovery for catastrophically injured clients or the survivors of a wrongful death victim against major insurance companies. Those include cases such as trucking, automobile and motorcycle accidents as well as product liability. Darol always litigates a case with zealous vigor and prepares every case as if it is going to trial. Darol recognizes the benefit to alternative dispute resolution and that the vast majority of cases will settle before trial. A consummate, patient negotiator, Darol is often able to maximize his client’s recovery in discussion with opposing counsel, an insurance adjuster or alternate forms of dispute resolution. He has served as legal counsel in hundreds of mediations, some involving multiple parties and hundreds of litigants in a single case. To insure he was fully trained in every aspect of mediation, Darol himself received certification as a Florida Supreme Court certified mediator. Appeals are a rare occurrence in any litigation practice, however, when necessary Darol does his own appellate work. This capacity is bestowed upon attorneys recognized for providing consummate legal guidance to address a wide variety of legal and political challenges. Darol assists his clients using the advantages of experience and draws upon the wide scope of legal knowledge his fellow attorneys have gained at the Farr Law Firm over the many years. Private companies and individuals retain Darol to provide legal counsel and guidance. For decades he has been retained to serve as general counsel to prominent local companies such as Ajax Paving, Palm Auto Mall and Air Trek. In 2018, Darol was retained by Sunseeker Resorts to serve as local lead counsel to assemble the legal and professional team for a large scale water front development. Smaller companies and individuals also retain Darol on an ongoing basis to assist them with complex legal matters. Florida Constitutional Officers: Darol has been honored to serve as general counsel for the Charlotte County Sheriff’s office for over 25 years, working with five different sheriffs during that time. On an as needed basis he served as legal counsel for Paul Stomoulis, Supervisor of Elections and Vicki Potts, Charlotte County Tax Collector. Political Subdivisions: Darol served as litigation counsel for the Charlotte County Airport Authority (CCAA) for decades. In 2017 the CCAA retained Darol as general legal counsel. He assists the CCAA with the challenges of developing a master plan for the fastest growing commercial airport in the country by passenger count. Previously he has also served as legal counsel to the East Orange Drainage District. Darol served in the U.S. Air Force from 1972-1976 with tours of duty in Southeast Asia and Europe operation theaters. For over 40 years Darol has been married to Lamoon Carr, a native of Thailand. They have a daughter, Amanda, who competes on the international BMX circuit and participated in the 2016 Olympics. When not tagging along all over the world in support of Amanda, Darol enjoys snow skiing, snowmobiling and shooting sporting clays. He is a current Master Scuba Diver holding nitrox, cavern, and rescue diver certifications. Darol enjoys white water rafting some of the most challenging rivers in the United States, including the Colorado (lower Grand Canyon), Snake, Gauley and in 2018 he completed the entire upper Grand Canyon on the Colorado. Darol is a Corvette enthusiast, driving the latest C class model. Anytime the weather permits, you will see him in his custom built award winning 1959 Corvette hot-rod resto mod. Representation of individuals and corporations in complex and product liability litigation in federal and state courts. Representation of beneficiaries in complex trust and estate litigation. Defense of claims by corporations and individuals for fraud in real estate transactions in state and federal courts. Representation of numerous plaintiffs in catastrophic injury cases including motorcycle, automobile and truck accidents. Several with over million dollar settlements. Defense of guarantors and borrowers in multi-million dollar foreclosure actions.